Helton pointed to USC’s inability to flip the field as a reason for last week’s loss. One crucial reason is poor punting (ours) vs. effective punting (theirs). Helton (and Baxter) used the game to open up the competition again. Do you think Tilbey did enough to win back the job? The way Helton was talking after the Wednesday practice it sounds like it could be a rotation for a while. He talked about Tilbey has the longer kicks but that Budrovich has a unique ability to pin them in certain spots (which we know Baxter likes). I know we have a great set of RBs, but looking back at a play by play sheet it seems like each back only gets a set of downs and then is substituted for the next. That doesn’t seem to allow our running backs to get into a rhythm. I feel like an explosive back like Carr(or any of the backs) needs more consecutive plays to get a feel for the blocking and the defensive pursuit. Most of Love’s runs were very modest gains, but a couple of long runs were really costly. Would have been nice to have a couple for our offense. What are your thoughts on the RB rotation? Is there any concern about Carr ‘s back and limiting his # of plays? Have you noticed any tendency for certain plays for certain backs? One last thought we have three really good backs, but they are not equal. I agree with you about the way it often seems like the substitution patterns come at certain times, rather than allowing more for a feel for the game, etc. I’m usually in favor of one back leading the way and others offering a complementary role, and if Carr was absolutely at 100% he would be my choice. I think he’s getting closer but I don’t think he’s there yet on a 20-25 carry per game basis. I will also say this, I think any of the three could be a lead back if needed, I think they are that good and it’s good for the Trojans that they offer different skill sets. But, as you say, not everything is equal and I think eventually Carr will/should be the guy (although I’m glad Aca’Cedric will get the start in his home state, big moment for him). Do you think Vince Young will be the guest of honor? I may get a nervous twitch if I see him again on the same field as our Trojans…. Aloha Burke. It was announced this week that Young will be inducted later this year as a member of the Rose Bowl Hall of Fame so it wouldn’t surprise me at all to see that recognized on Saturday while the Trojans are in town. Damn. Still not over that one. Garry, who is the leader on the offensive side of the ball. Do we have a leader? Toa is the leader of the line, and as much as anybody the leader of the offense. Among the skill players I would say Aca’Cedric has done a great job of leading by example this year, and if Daniel Imatorbhebhe was healthy and contributing like he would be I think he would be a real leader as well. Garry, my question is about our offense. I’m now buying into the narrative that our uninspiring play is correlated to our lack of physical practices. 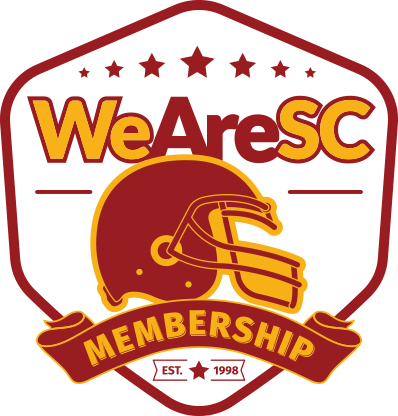 The classic Trojan chant, “We are SC!” used to be synonymous with an offense that would demoralize opponents with our physicality. Under Helton, other than the first game against Stanford last year, we haven’t physically punished anybody. And so far this year, it appears that Helton’s “keep our legs fresh” practice philosophy is leading the Trojans down the path of finesse teams. 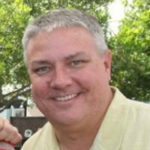 What’s your take on Helton’s practices and SC’s lack of physicality on offense? Do you think there is a direct link or am I being too simplistic? Thank you and fight on! I think there’s a link, yes. Are there other issues? Sure, but a USC practice these days in terms of physicality and intensity is not what it was compared to past years. That’s not just my observation or others who are watching practice these days, that’s former player after former player who stops by and notes the same thing. And I think we’ve seen a correlation in terms of the style of play that the Trojans were long known for is not at the same physical standard. It’s the number one disconnect I’ve seen from the style of play Helton said he wanted when he was hired and what we’ve actually seen. Garry, what are your thoughts about seeing Justin Deidich and Brett Neilon lined up in the backfield as an extra run blocker while wearing #99? Tim Drevno influence, perhaps? Will we see Josh Falo assume this position as well or will he just be the designated ‘F’ position getting moved around to give different formation looks? I like these tweaks to the run game to help in short-yardage and red zone situations. USC needs this creativity on offense. IMHO. I like it as a creative way to get an extra blocker in for certain plays. I don’t see using Falo in that way, I wouldn’t call blocking the strong point of his game. Why is the coaching staff so reluctant to get Carr the ball more? He is a home run hitter and looks to be 100%. With teams sending the house on obvious passing downs, why won’t they motion Carr out of the backfield to get him in a mismatch with a linebacker and work the middle of the field? IMO the lack of creativity to get these 5 star athletes the ball in space is other teams best defense. I thought we would see Carr a little more against Stanford and I definitely think we see him more this week at Texas. As you say, he doesn’t appear to be limited after his injury (which is good news) and if that’s the case then I think it’s time to let him loose. Helton talked after practice this week about Carr getting healthier and the thought that his workload would increase. As for the ways it could increase, I think his abilities out of the backfield as a pass catcher are almost as good as his abilities as a runner, surely Texas remembers him with a critical grab down the middle last year. John McKay used to always say the best play was to get the ball to his athletes in space, would like to see that more with guys like Carr. When I look at the first two weeks of College Football games, I see a clear distinction between Pac 12 teams. Cal, ASU, UW and Colorado seemed to be coached well and ready. All other teams are still soul-searching. I am going to get ahead of myself and I still think USC will play Stanford again in the Pac 12 championship. I think David Shaw will have Stanford in full form by then. Remember 2017? I seem to find Stanford start every season sluggishly and get more focused as the season goes on. 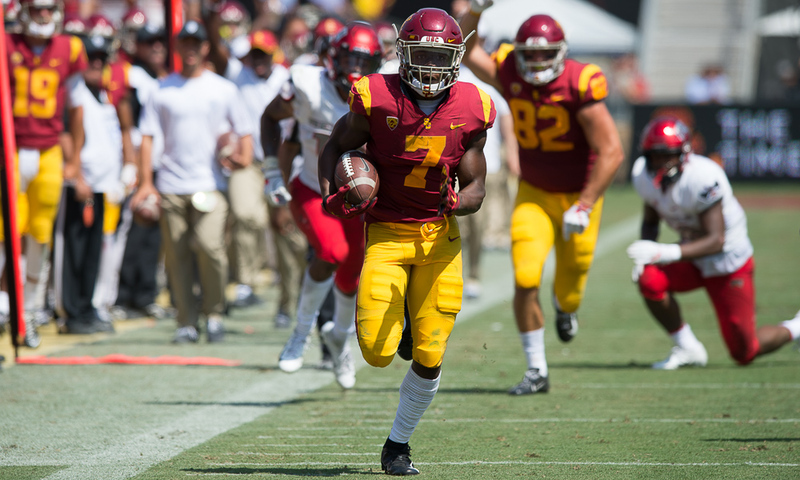 So what would be USC’s game plan for a game 2 against Stanford? How do we improve from this game, if we know that we need to play Stanford again? Same opponent, pretty much the same stadium. I’d like to think if we played Stanford again that we wouldn’t be held to a field goal, and you have to imagine JT Daniels will have a major growth curve between now and then. Personally I would run the ball a little more in a rematch because I don’t think it was a particularly good Stanford defense against the run, or overall, at least compared to some Cardinal defenses we’ve seen in recent years. Going into the season the last thing I was concerned about was SC’s wide receivers. In theory there’s a lot of talent, and so many of them. However, they haven’t played well so far. In addition to all the dropped passes, they’re not getting open. At first I thought it might be because of Tee Martin’s simplistic, predictable play design and play calling. Now we’re hearing about a lack of effort on their part. I didn’t watch the game closely enough to notice guys loafing, and I never watch a replay of a Trojan loss. But could this be true? I have to admit, I’m particularly concerned about Pittman. I have noticed him appear to take plays off, and his production has not been there. I thought he would be a monster this year. I wonder what’s going on with him. We know his brother didn’t even consider SC, and there was the problem last year with his father when Michael didn’t start a couple games. Is there a hangover from all this stuff that’s affecting his play? And what about the disappointing play of the receivers in general (other than Amon Ra against Vegas)? Thoughts? I am a little surprised but it’s only a two game sample size with a new quarterback that they simply didn’t throw with much in fall camp. Pittman was hurt, and neither Vaughns or Michael took part much in the scrimmages when they would have at least caught some balls from J.T. in a scrimmage setting. If we’re still talking about these issues after the next couple week that would be a real problem but I’m hoping things get on the same page real quick, they are too good not to have that happen, right? Some brilliant poster last week asked what would happen if our opponents started double-teaming St Brown, taking away JT’s security blanket, and how SC would respond. Is a half-hearted running game and forcing the ball to Vaughns the best we can do? I thought the offense kind of stumbled onto a run game that was working when JT went out and Fink came in, and was hoping the coaches would have stayed with that more. Hypothetically speaking, if the Trojans have a bad season, would SC even be in the position to make coaching changes considering factors like: lack of a President, probability of lawsuits over the Health Center gynecologist, expenses for the coliseum renovation…etc.? Love the username. And I think you are correct to wonder if those factors could impact any coaching decisions that might be considered. There’s a lot of uncertainty at play with the university right now. Why does this offense seem to stall in the redzone? Not a simple answer but I think things would work better in the red zone if the commitment to the run was there on a stronger basis. Things get tighter in terms of space in the red zone and that works against the pass game but if the run game is a dependable part of the offense, along with the ability to line up under center and use a lead blocker (fullback) then I believe that increases the chances for success. Is Texas Longhorn Stadium an tough place to go into and get a win? Yes. It’s going to be sold out and I expect an enthusiastic crowd waiting for the Trojans. 1. Does Drevino take over O-line before next year? 2. Do you think this team bounces back and wins in Austin? 3. Does weather play a factor in this game? Talofa Moe. 1) Yes, I have heard there is a real possibility that Callaway leaves after this season and Drevno moves to the O-line. 2) Yes, I’m do think they bounce back, score some touchdowns and come away with the win. 3) Not so much the heat but humidity and thunderstorms could have an impact.